"Leaders unsure of where to enhance their own leadership need to use their organizations as mirrors. What's happening in the organization will tell them where to look!" "Adria is not only one of Canada's premier coaches, she is also one of the world's leaders in team coaching. Master Certified Coach and Canadian pioneer, she is a no-nonsense, straight-talking individual who knows how to cut through the extraneous noise to the heart of the matter." Adria is known for her integrity, her leading edge thinking, and her highly intuitive and creative approach. She is a Founding Faculty member and currently Dean and Director of Adler International Learning's Coaching Certificate Program worldwide. With over 5,000 individual and team coaching hours under her belt, Adria has helped transform the burgeoning practice of coaching into an internationally-recognized, bona fide profession. As a pioneer in the field, she has consistently pushed the boundaries of the coaching profession to enable leaders to increase their knowledge and awareness, as well as develop new skills. Adria's background in organizational and clinical psychology combined with extensive experience addressing leadership, performance, organizational development and change issues, provides a comprehensive, in-depth platform for her coaching. She is a four time winner of the Prism Award for achieving outstanding performance through leadership coaching and leadership team coaching. Her clients are senior executives, leadership teams and corporate coaches across North America who are committed to bringing outstanding results, openness to new ideas, strategic thinking, passion and spirit to the workplace. "I believe that the way to change the culture is to change the people by engaging both mind and spirit in a co-creative learning process." This has been Adria's mantra from her first team coaching assignment with the General Management Team at Searle Canada (1994). Adria is an innovative creator of tools and processes for high performance teams. Her Living Systems Approach™ to coaching collaborative work groups and intact teams has enabled people at all levels of organizations to increase their performance capacity. As an architect of gold-standard coaching, Adria is also in demand as a trainer. She designs customized training programs to meet specific client needs. A committed educator, she is a passionate supporter of coaches in training, as well as new coaches entering the profession. 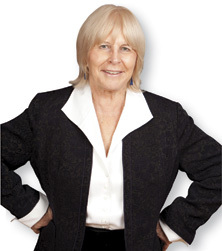 Adria is dedicated to holding high standards for herself, her clients and her students alike. Adria is currently working on her PhD Dissertation in Psychology at York University. She is also an accomplished pianist and avid skier!